Book marketing and promoting go hand in hand with writing these days. Publishers no longer "do it all" for authors. And many authors, today, are Indie Authors who have no publishers to help them. Regardless, whether an author is traditionally published or self published, book marketing can be a major challenge. Many authors would simply rather write than try and sell the books they are writing. I am one of them, but alas, it must be done! Blogging is a popular way to promote books, but I have heard from authors that blogging had no positive effect on their book sales at all--so they planned to give up blogging completely. If book sales are a writer's only reason for blogging, then, I agree with them; they should do themselves a big favor and exit the blogosphere...and the tweetosphere (Yes, I just created a new word). They are boring everyone...most likely even themselves. I tend to mute authors who do nothing but try and sell books through social media, and I guarantee I never read their blogs. On the other hand, if they really love blogging, and are simply discouraged, perhaps looking at their primary motivation for writing a blog (or posting to social media) can help turn things around. If an author is not blogging out of love for writing and passion for her subject, no one is really interested in what she has to say anyway. Blogging (and posting to social media) for no other reason than just to sell books is a turn-off for most readers, and usually results in no readers at all. 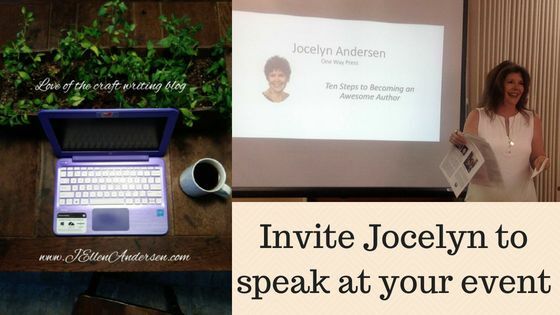 I have experienced encouraging results when writing blogs on subjects I am passionate about. It is exciting to watch book sales reveal (what I interpret as) a direct correlation between communicating with my target readership (in relevant and informative ways) and rising book sale numbers. Contribute meaningfully to your reader's lives by posting relevant information, and they will want to read more of what you have to say--whether in fiction or nonfiction. It's OK to promote our books through our blogs and social media, as long as our goals in doing so are to contribute in positive and relevant ways to the lives of our readers. Use that as a barometer to measure our motivations for each and every post and blog, and book sales should naturally follow.